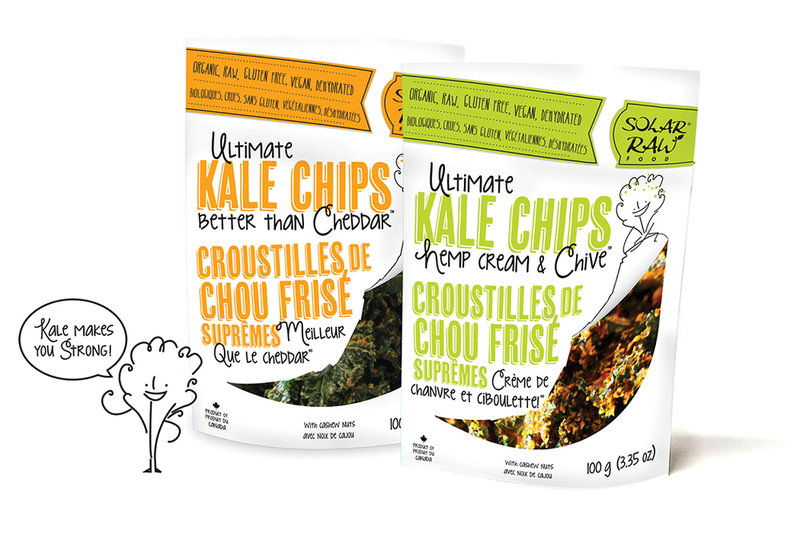 Packaging and brand implementation for Solar Raw kale chips. Kale had a bad rap. Our research showed that consumers shied away due to a preconceived notion that Kale was “bitter”. Our strategy involved breaking down that stereotype to produce a brand that was friendly and full of personality. Kale-Man was developed as the spokesperson who takes you to his farm through a QR code led video and in-depth website that speaks about the product benefits and solar farm sustainability. Watch out for further Kale-Man adventures (spoiler: he is getting married).